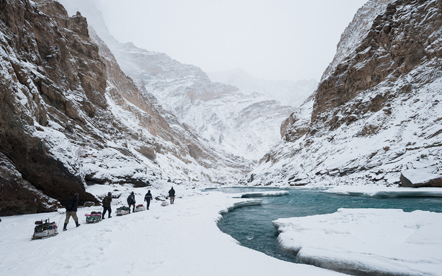 As the Zanskar road winds down the steep slopes of Penzi-la to the head of the Stod valley, the majestic " Drang-Drung" glacier looms into full view. A long and winding river of ice and snow, "Drang-Drung" is perhaps the largest glacier in Ladakh, outside the Siachen formation. It is from the cliff-like snout of this extensive glacier that the Stod or Doda tributary of the Zanskar River rises. once the capital of the ancient kingdom of Zanskar, Padum (3505 m) is the present-day administrative centre of Zanskar Sub-Division of Kargil district. This picturesque village is 6 kms west of Padum, on the road to Kargil. The main attraction here is the castle-like monastery, which unlike other monasteries of Ladakh, is built on level ground. Located 12 kms south of Padum, Bardan is an isolated monastery with about 40 Dugpa- Kargyud lamas in residence. 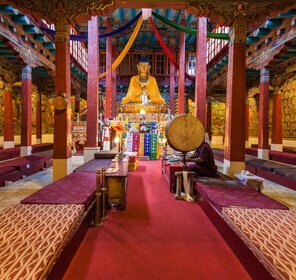 Founded during the 17th century as the first ever centre of the Dugpa-Kargyud monastic order in Zanskar. A accommodation is not a problem in Zanskar. 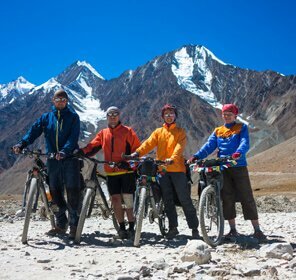 You may stay at the Tourists complex or be economical and opt for the camps in the tents. 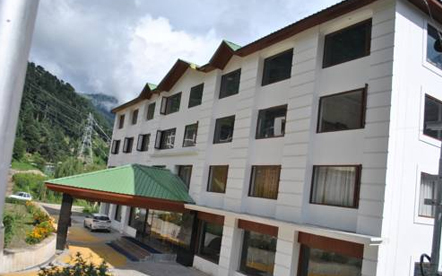 There are few hotels too in Zanskar that provide basic facilities. 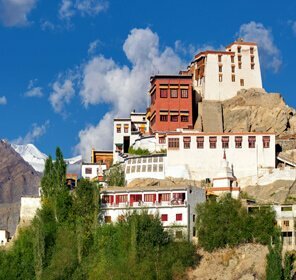 Monasteries and village houses are the other stay options in Zanskar.